The livingroom has a polished wood floor. The organ is painted to resemble a Mexican beauty we saw in an old church in Oaxaca. The chandelier is beaded and made by me. Chairs are covered in t-shirt material. 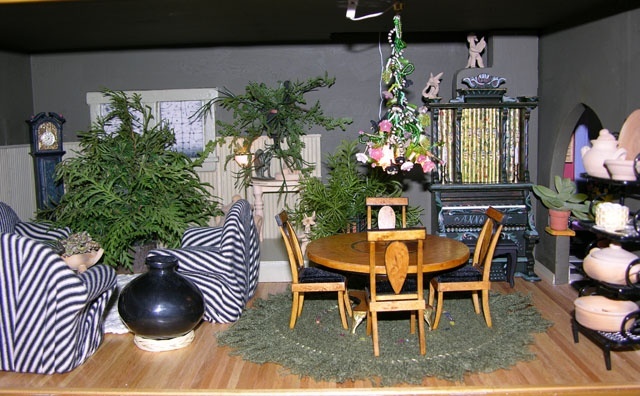 I crocheted the rug and Biedemeier table and chairs are by a dollhouse artisan. Pots are from Oaxaca.